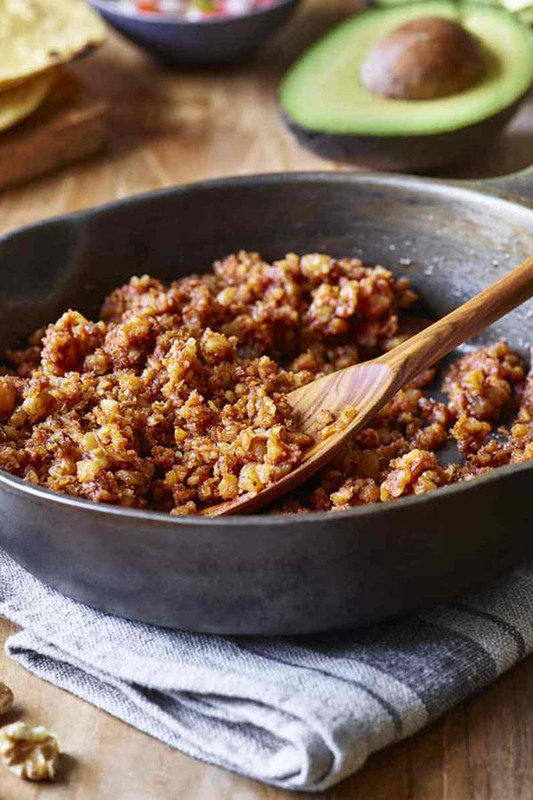 Back away from the beef and stuff your next taco with this flavorful walnut chorizo taco “meat” instead! 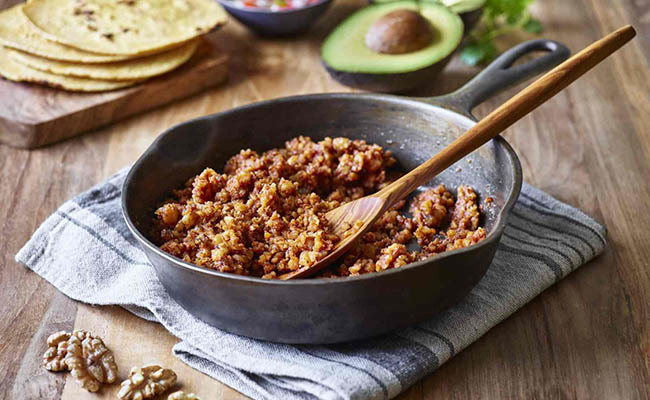 Back away from the beef and stuff your next taco with this flavorful walnut chorizo taco "meat" instead! Let’s Have a Vegan Taco Party! Very tasty sounding, never mixed walnuts into a bean mix. Thanks. With those ingredients, how could it be bad? Thanks!